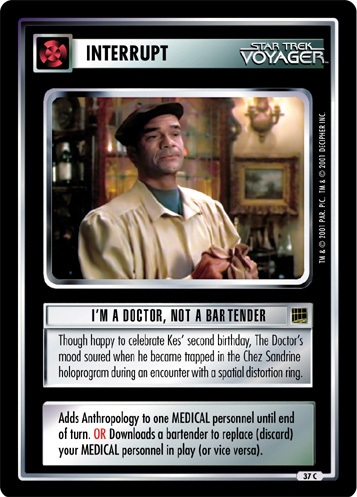 Though happy to celebrate Kes' second birthday, The Doctor's mood soured when he became trapped in the Chez Sandrine holoprogram during an encounter with a spatial distortion ring. Adds Anthropology to one MEDICAL personnel until end of turn. 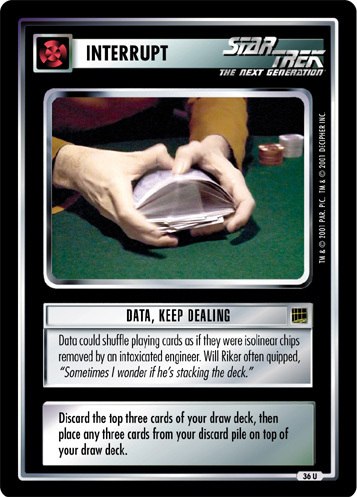 OR Downloads a bartender to replace (discard) your MEDICAL personnel in play (or vice versa).